This time he is doing doo-woop. Previous he has released solo-albums with soul-songs, gospel-songs and standards from the jazz repertoire. The New Orleans singer, Aaron Neville, has found allies in producer and new Blue Note boss, Don Was, and Stones guitarist, Keith Richard, on an album, where classics are lined up in a row. 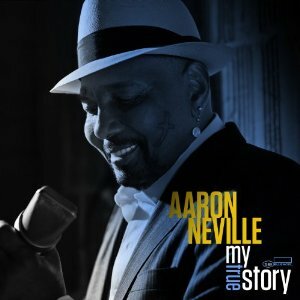 All tunes with one thing in common, they are performed as doo-woop: a genre with focus on the voice; the great strength of Aaron Neville. His voice, I admit, makes me (and others with me!) melt right away. His carreer goes as far back as your ears can reach and the period with ‘the pride of New Orleans’ Neville Brothers is a highlight. It is brother Art who plays the Hammond B3 on the album, while bass player Tony Scherr (who jazz nerds know from Bill Frisell) and others has a part in building an organic and hand-played accompaniment in songs like Under the Boardwalk, Curtis Mayfield’s Gypsy Woman and Phil Spector’s Be My Baby. One of the special moments is a medley with Mort Schuman’s and Doc Pomus’ This Magic Moment/True Love. As in all the other songs the commenting male-choir is absolute fantastic. Okay, it’s not a jazz album. But the genuine musicality makes an album which I’ll recommend to all adults who cares about quality.